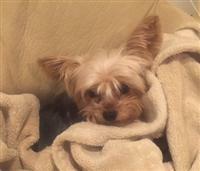 If you are a lover of Yorkies or just adorable small dogs - Joey is your girl! Joey has a very sweet personality and she aims to please. She loves to snuggle and be petted. She also loves to play with tennis balls and will carry them around with her (so cute!). She is a wonderful companion. 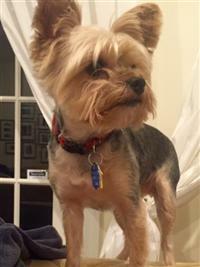 Joey is also crate trained and rarely barks. She is nervous with small children, so her perfect home would be one without kids or with older kids. If you are interested in Joey please let us and know and if possible submit an online application.